The Queen of Spades has bullied Captain Kick ever since coming to NXT, but now she must defend her NXT Women’s Championship against Dakota Kai. Will Dakota give Shayna Baszler the comeuppance she deserves? Plus, Aleister Black will appear to address his own championship contenders ahead of TakeOver: Chicago. 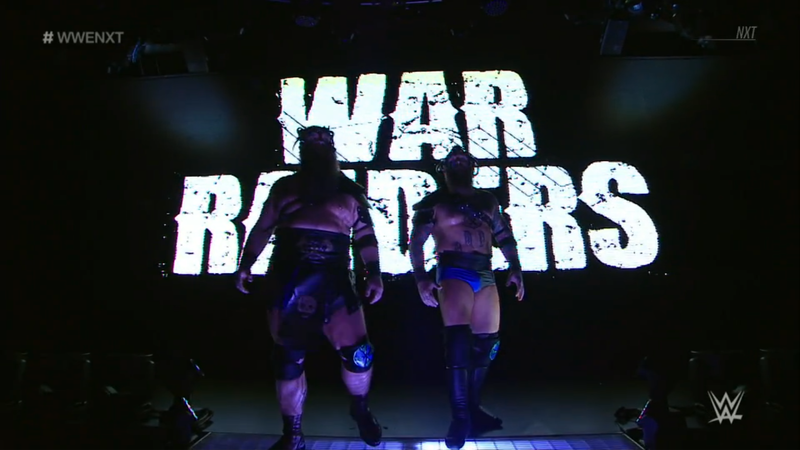 War Raiders VS George Hickson & Cody Vincent; War Raiders win. EC3 VS Fabian Aichner; EC3 wins. Ricochet VS Chris Dijak; Ricochet wins. NXT Women’s Championship: Shayna Baszler VS Dakota Kai; Shayna wins and retains the NXT Women’s Championship. 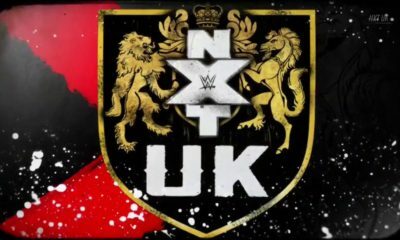 NXT reviews the announcement of Johnny Wrestling. 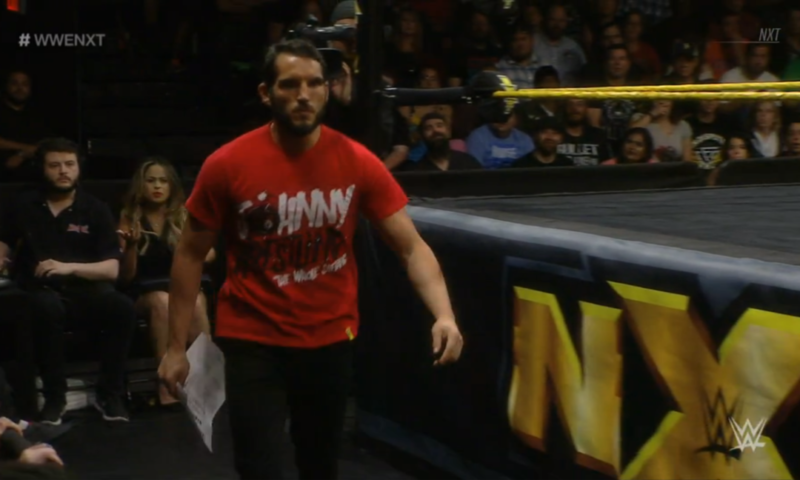 Despite the newest attack from Tommaso Ciampa, Johnny Gargano told the world that he’s not giving up! Even with everything adding up, both physically and emotionally, “Is it worth it?” Yes it is! Gargano called out Ciampa, but it didn’t go the way either man meant, as Ciampa would knock Gargano into Candice LeRae, and Candice into the steel ramp! Candice went down hard, and both Gargano and Ciampa were shocked. NXT GM William Regal has given both men the night off, but will give them a match in a Chicago Street Fight! Each man will sign the contracts individually, for everyone’s safety. TakeOver: Chicago will mark the one year anniversary of Team DIY breaking apart, who will be left broken this time around? 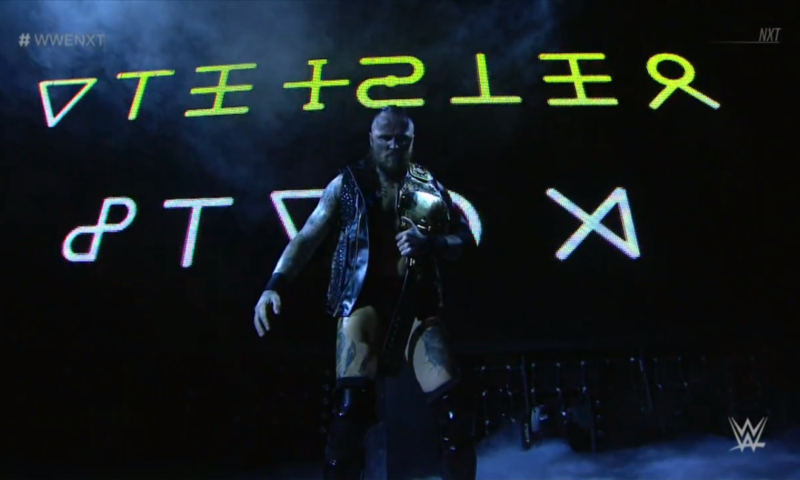 NXT Champion, Aleister Black, is here! The Embodiment of the End didn’t get to face Johnny Gargano, and won’t get his own revenge on Tommaso Ciampa, but that doesn’t mean he won’t have someone to fight at TakeOver: Chicago. 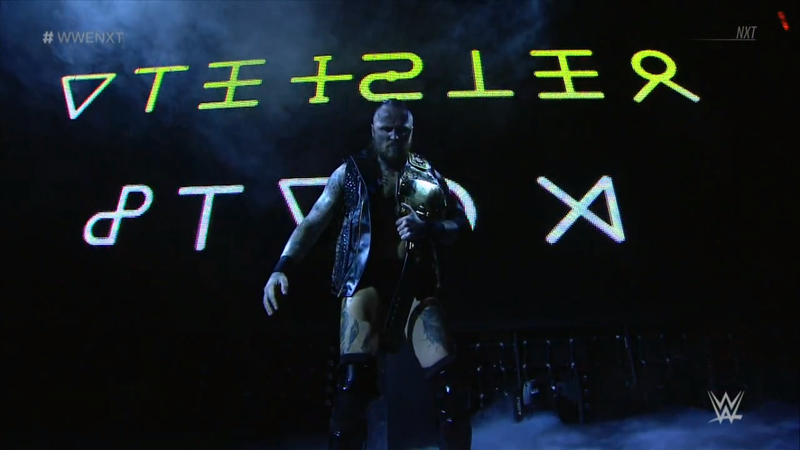 Aleister goes to the ring, and says, “Ever since winning the NXT title in New Orleans, it’s been a trip.” There is some dispute over who faces him next, but Aleister only needs one shot to win and make his opponent #FadetoBlack. 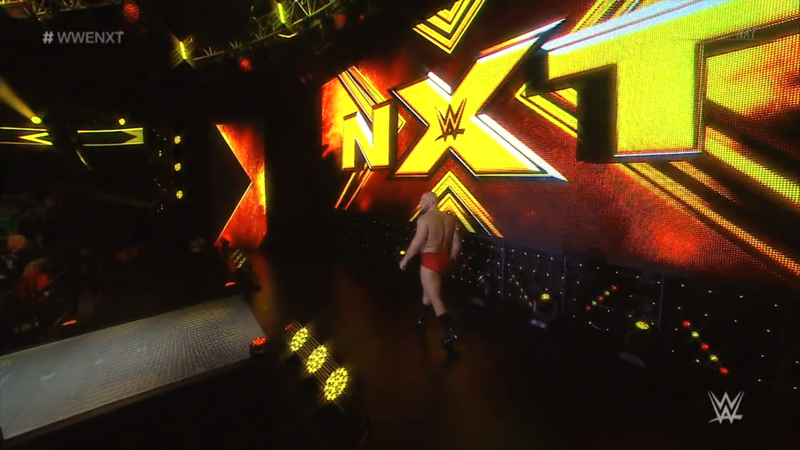 But speaking of his contenders, here comes Lars Sullivan! The Leviathan, who flattened Ricochet in last week’s handicap match, joins Aleister in the ring. 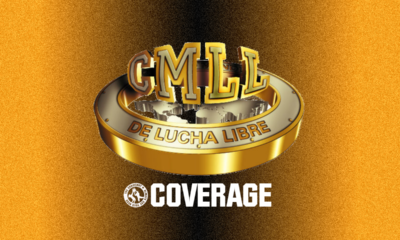 Lars tells Aleister that “The dispute is over.” Per Regal’s decision, Lars is Aleister’s first challenger. Aleister says that it takes one shot to #FadeToBlack, and Lars admits, 16 years and Aleister has done that, and now he’s champion. But Aleister has never faced someone like Lars, “because there is nobody like me!” No one with hsi strength, size or dominance! Aleister can ignore his emotions, but he can’t ignore what will happen in Chicago. Lars will take everything Aleister has worked for and become the next NXT Champion! As for Aleister, he thinks he can do something about it, but he knows he can’t! Lars grabs Aleister but Aleister knocks him away. Aleister swings, but Lars BLOCKS the Black Mass! And then Lars spins Aleister around, for the Freak Accident! Lars looms over Aleister, gloating over the champion. He then spots the belt, picks it up, then holds it up over Aleister, as if it is already his. Will this be the sight we see in Chicago? 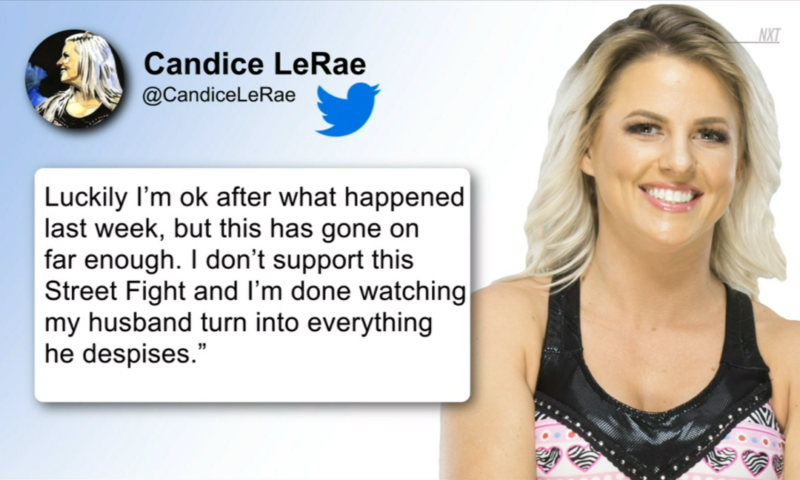 Candice LeRae speaks up against the Chicago Street Fight. Mrs. Wrestling clearly has reservations about what Mr. Wrestling and the Psycho Killer are going to do to each other, but the match is still going to happen. Will she be there for Gargano after the match, win or lose? 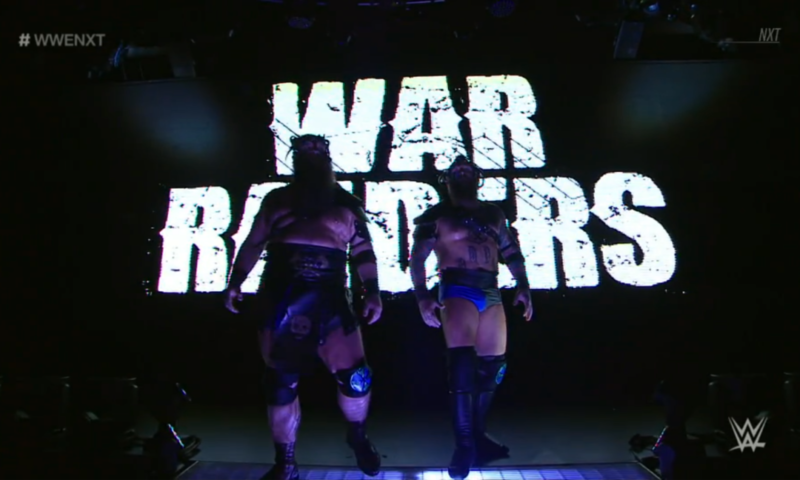 War Raiders VS George Hickson & Cody Vincent! 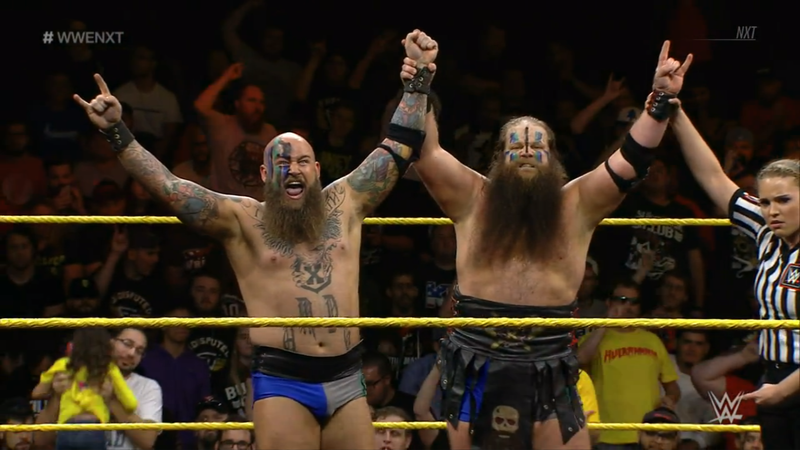 Rowe & Hanson have carved a war path in the NXT Tag Team Division already in their short time here. They have dominated the rest of the tag team world, but now they have to climb up all over again. Rowe starts against Hickson at the bell, and Hickson runs right at Rowe, but the forearm does nothing. Rowe grins, then headbutts Hickson’s forearm before giving one of his own! Hickson drops to the mat, and Rowe brings him over. Tag to Hanson, and Rowe whips Hickson into Hanson’s seated senton! Hanson drags Hickson up, and tosses him! He wants Hickson to tag out, so Vincent tags in. Hanson cartwheels out of the way, then runs Vincent over with a clothesline! Fans fire up with Warbeard Hanson as he puts Vincent in the corner. Tag to Rowe, and Rowe unleashes body shots and knees. Rowe tags back to Hanson, and throws Vincent overhead! Hanson runs corner to corner for the corner splash, then Rowe adds the shotgun knees, before Hanson finishes with the bronco buster. The War Raiders are fired up and so are the fans. Hanson tags to Rowe, and Rowe gives Hickson Ace Ten Mao! 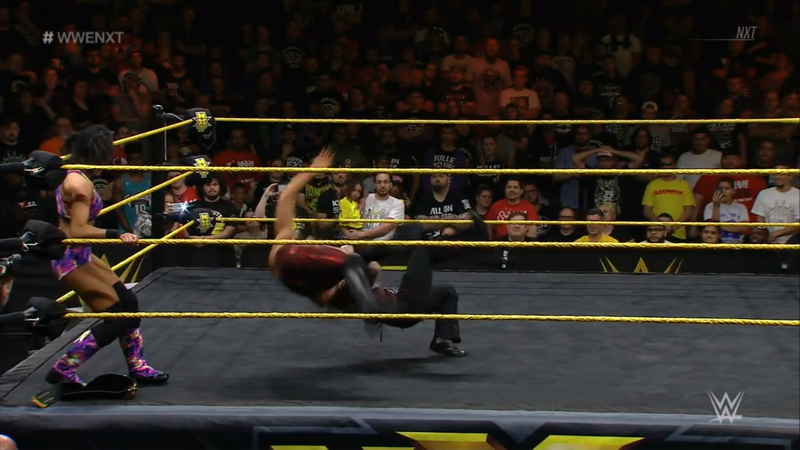 Rowe tags back to Hanson, and the German Suplex clothesline! Hickson flops away while Hanson tags back to Rowe. Rowe goes to Vincent while Hanson climbs up. Rowe stalks Vincent, then hauls him up, for FALLOUT! 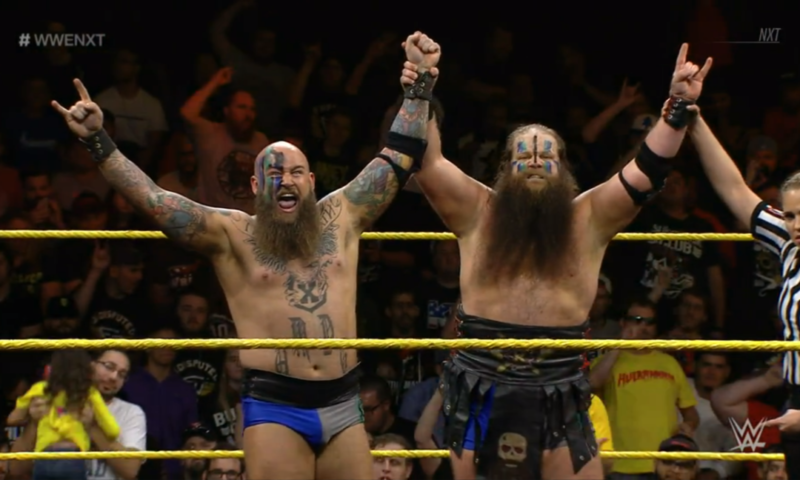 War has come to NXT, and no tag team is safe. Will Rowe & Hanson have a title match in the days after TakeOver: Chicago II? Dakota Kai goes for a dream tonight. 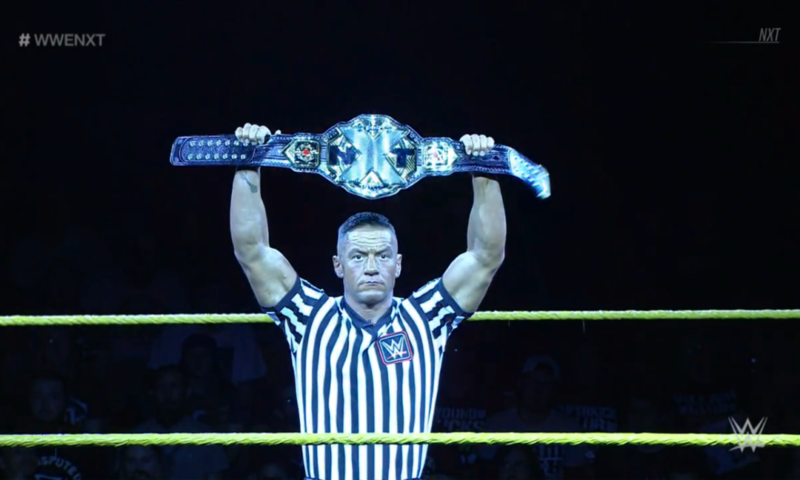 The Captain of Team Kick has always wanted to be Women’s Champion, especially in NXT. But her dream runs into her nightmares, as she must face the brutal and bullying Shayna Baszler. Shayna loves breaking her opponents one way or another, and she’s done just about all kinds of breaking when it comes to Dakota. Shayna broke Dakota’s elbow with a stomp, then broke her courage with a glare. Dakota has returned to action, but every encounter with Shayna leaves her like a deer in the headlights. However, crazy Nikki Cross’ “encouragement” and Shayna’s sadistic smack talk have sparked something in Dakota. Can Dakota use that to ignite and become the new NXT Women’s Champion? The Lady of NXT did well in defeating Kairi Sane, but that only evens up the series. The rubber match comes next week, what are her thoughts? Is Lacey ready? Lacey feels the results will be the same, because she does whatever she has to in order to win. Kairi may have won the Mae Young Classic, but Lacey has a right–her Woman’s Right–waiting for Kairi. Will Lacey win the series against the Pirate Princess? Or will Kairi set sail and leave her high and dry? Mr. Top One Percent wants to transform NXT into #NX3, one match at a time. Will he continue his top one ascent with only his third match? 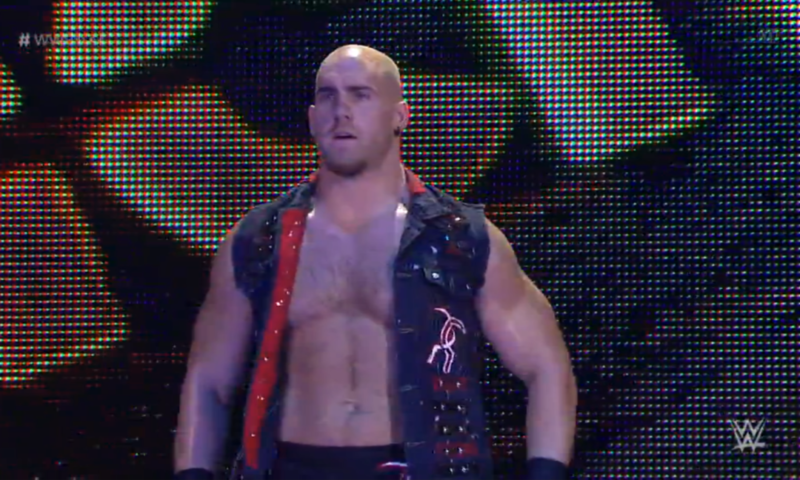 Or will Aichner stop him and finally achieve the #NXTLVL? The bell rings and fans chant “NX3! NX3!” as EC3 and Aichner tie up. EC3 knees low, then puts Aichner in a corner for a Top 1% forearm! Aichner shoves EC3 away and fires off with strikes of his own. Aichner chops EC3 then whips, but EC3 reverses. 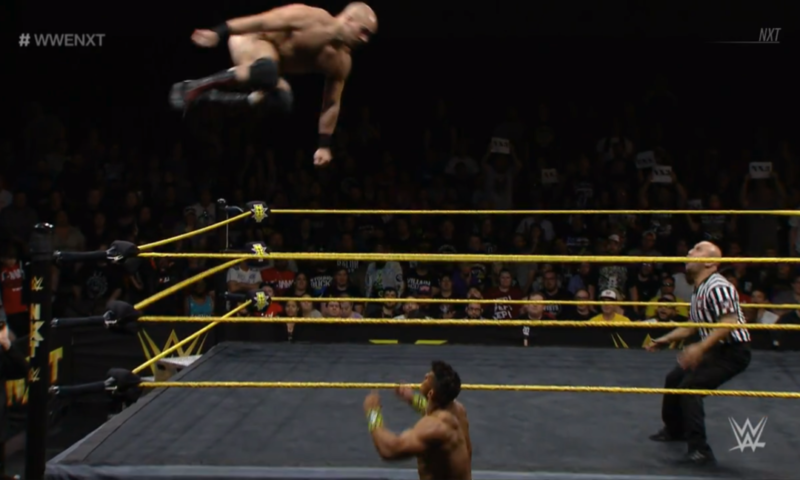 EC3 misses the clothesline but speeds up, only to run into Aichner’s leaping elbow! EC3 staggers into ropes, but Aichner gut wrench throws him. Cover, ONE, but Aichner runs in. 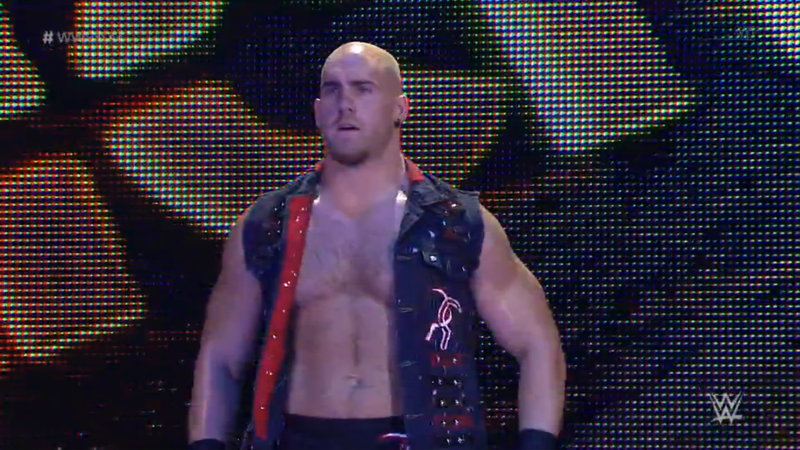 EC3 puts him on the apron, but Aichner shoulders in. 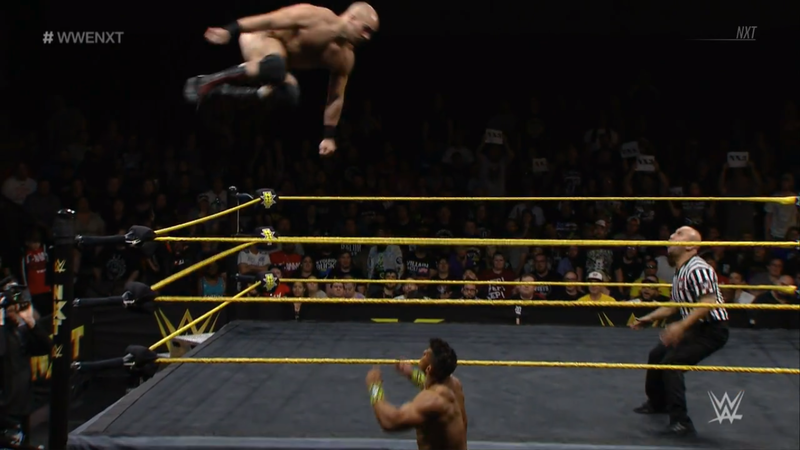 Aichner springboards but EC3 trips him up! 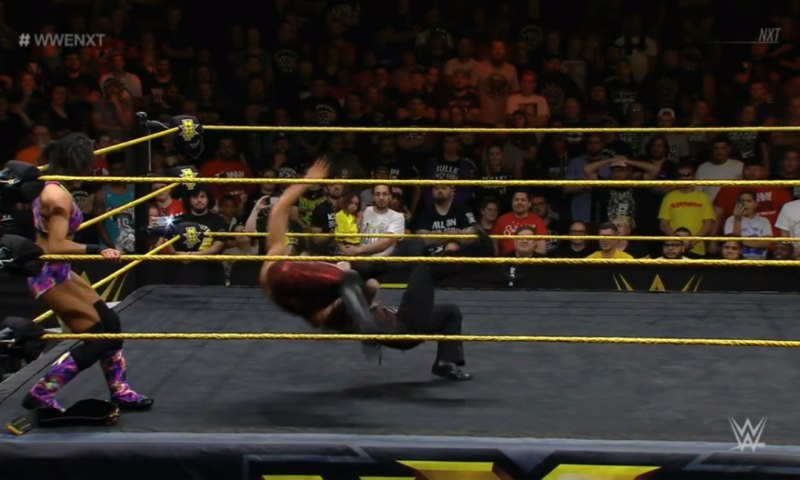 Aichner tumbles down to the ground, and EC3 shrugs. 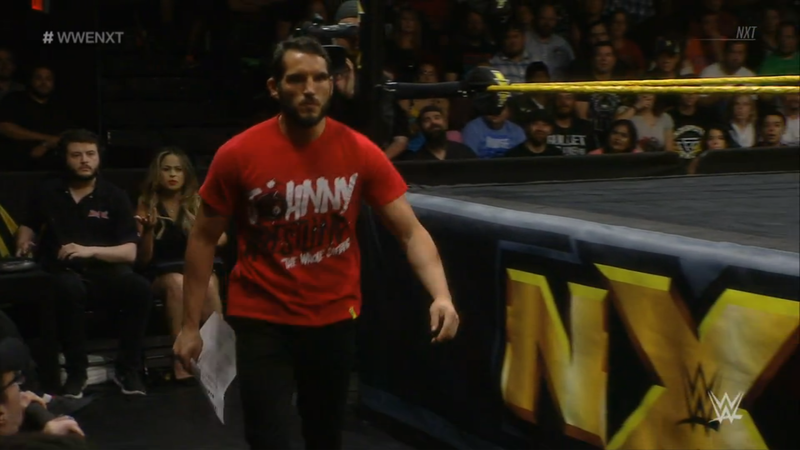 EC3 goes out to fetch Aichner, but Johnny Gargano suddenly appears? Johnny Wrestling has that contract for the Street Fight in his hand, and storms past EC3 to the announce desk. Gargano grabs a mic to let everyone know he has signed the contract for Gargano VS Ciampa II, TakeOver: Chicago II, Street Fight! He then storms his way back out, and EC3 continues his match with Aichner. Aichner runs and LEAPS onto EC3 with a crossbody! Aichner takes out EC3, then puts him in the ring. Cover, TWO! Aichner swings on EC3 but EC3 reverses into the hammerlock STO! EC3 fires up and drags Aichner up, for a Top One Percenter TKO! EC3 gets the 1-2-3 tonight, but he seems just as taken aback as everyone by Gargano’s sudden appearance and disappearance. Gargano aside, will EC3 find himself headed for a title after this win? The EST has always been good at anything she’s done. She’s the fastest, strongest, and the descendant of history makers. Bianca has to maintain a certain level, no other option. She has done every sport you can think of, and was always first place without even trying. Her parents always supported and encouraged her excellence. Bianca worked hard and earned an athletic scholarship to Tennessee University, and was an elite athlete even there. After college, her life was mediocre, so she moved into cross-fit. Bianca could be herself without shame, and that allowed her to excel all the way to NXT. Her first day in NXT, she knew she belonged. 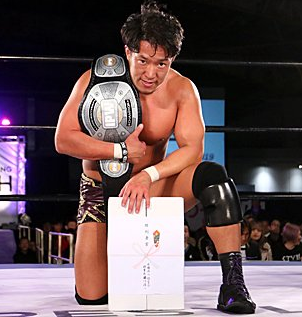 She may not have years of indie experience or matches in Japan, but she’s already getting farther than so many. Bianca doesn’t shy away from anyone, and now she doesn’t have to hold back. With The EST unleashing her full potential, will she shine as a future champion? The One & Only may have found himself abandoned by his partner in the handicap match last week, but he won’t let that get him down. Ricochet still moves towards a title opportunity, but how will he do against this debuting prospect of honor? The bell rings and Dijak runs right at Ricochet! Ricochet dodges the boot to throw haymakers. Ricochet gives body shots as well, and has Dijak in a corner. He backs off at the ref’s count, then whips, but Dijak reverses. Dijak runs but stops the boot, so Ricochet gives him an ax kick! 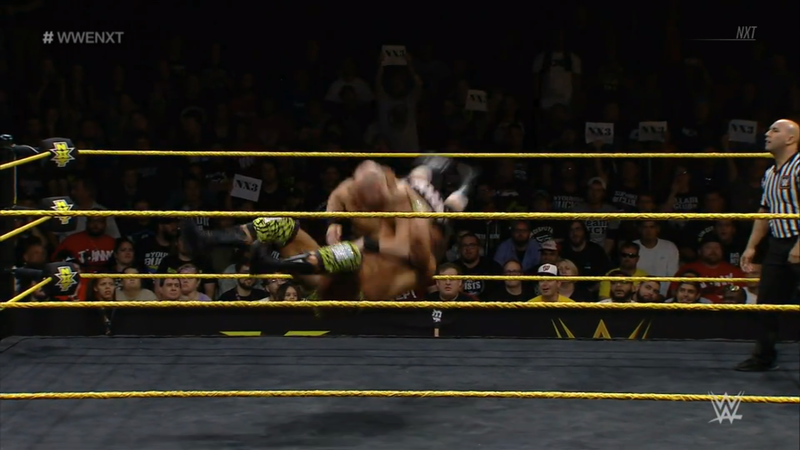 Ricochet shoves Dijak then rolls, for a big dropkick! Dijak ends up outside the ring, so Ricochet builds speed and DIVES! But Dijak catches him, for an apron choke slam! Dijak then springboards for an elbow drop! Cover, TWO, but Dijak keeps moving. Dijak jumps up, and moonsaults! But he flops when Ricochet avoids it. Fans rally up for Ricochet as he rocks Dijak with a roaring elbow. Ricochet kicks out a leg and ax kicks Dijak again! Ricochet snap suplexes and rolls through to deadlift suplex Dijak! Fans are all fired up, and Ricochet positions Dijak into the drop zone. Ricochet climbs up top, for the 630! The One & Only wins against the debuting tower in Chris Dijak. However, Ricochet takes a mic because he has something to say. 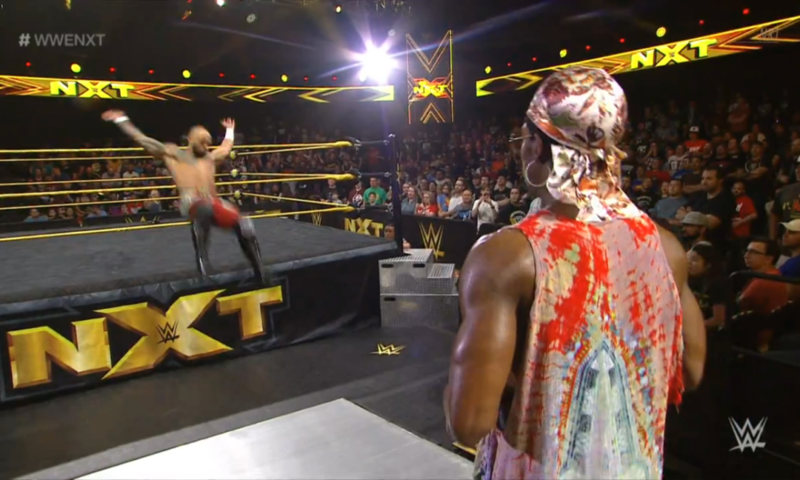 “So the Velveteen Dream likes the spotlight, huh?” That’s fine, because Ricochet understands. 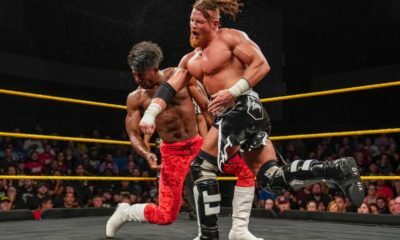 Dream does deserve it, because he has been one of NXT’s most entertaining stars. Dream can do it all, and fans chant “Velveteen!” in agreement. But the spotlight exposes both Dream’s highlights and flaws. 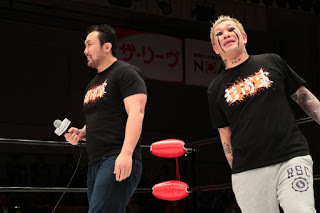 Dream’s attack wasn’t about how good he was, it showed “how much of a punk you really are!” However, Dream appears to respond. 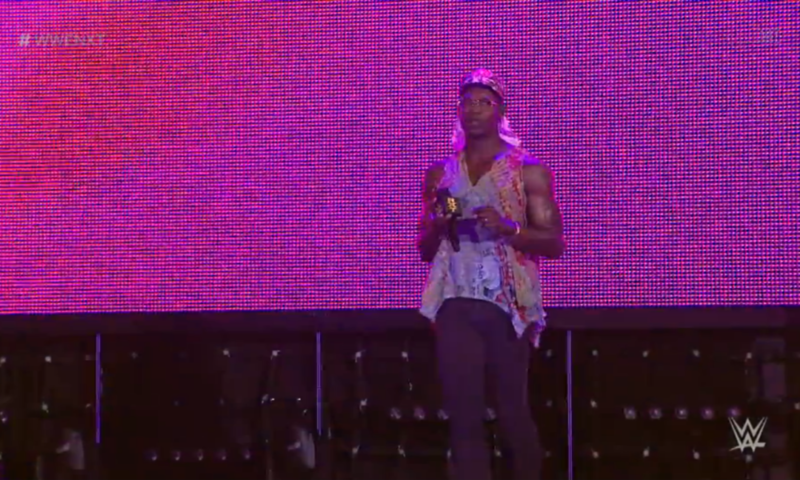 Velveteen Dream says, “Punk? 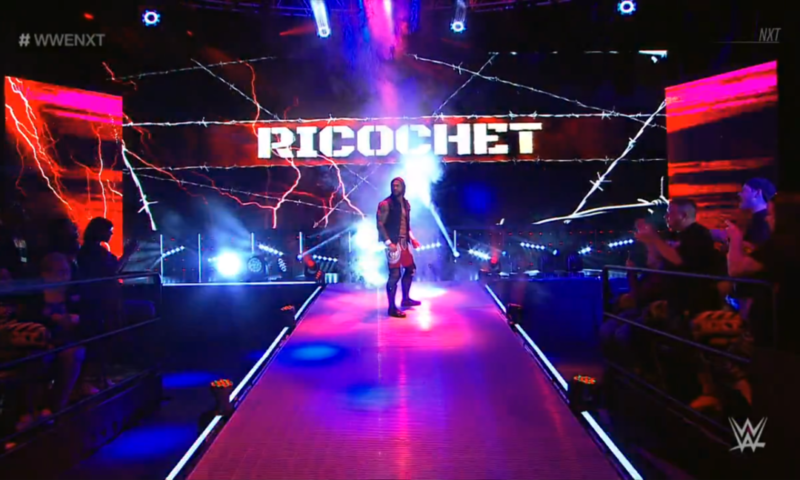 Okay that’s fair, because tonight is your spotlight.” Ricochet has the spotlight now, but last week as their spotlight. Dream showed that anything Ricochet can do, Dream can do better. Really? Is that what Dream thinks? Because all Ricochet sees is Dream being a coward. 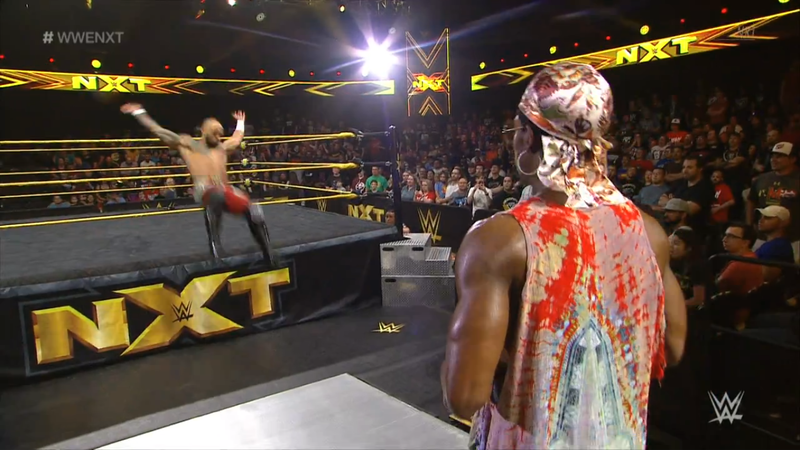 If Dream knows so much and loves the spotlight, “come take it, home boy.” Ricochet waits as Dream heads to the ring, but then Dream reconsiders. Dream knows that as epic as this would be, he only can think of one spotlight good enough for the both of them. See you in Chicago. 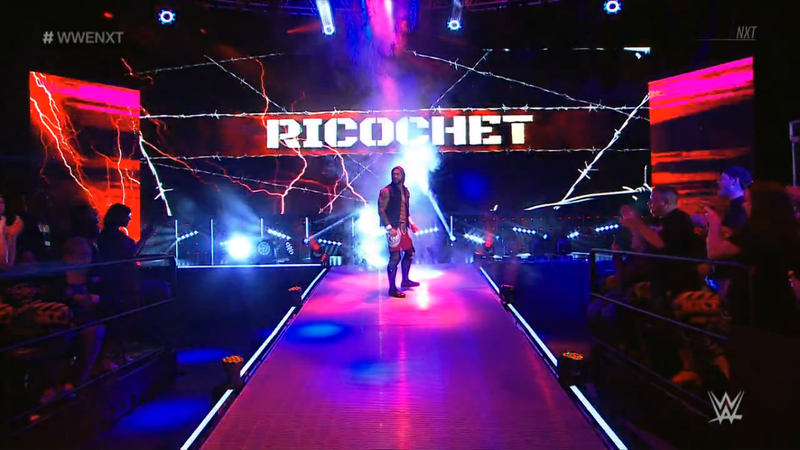 And when the spotlight hits, Ricochet will truly know that anything he can do, Dream can do better. So Ricochet shows off as he front flips out of the ring and to the floor! And then tells Dream, “Then show me.” Dream is speechless, perhaps thinking he’s bitten off more than he can chew. Will Dream be able to back up his words when the spotlight is on TakeOver: Chicago? NXT Women’s Championship: Shayna Baszler VS Dakota Kai! It’s the moment of truth for the dreamer from New Zealand. After weeks of being tormented, can Dakota overcome her fear to dethrone the Queen of Spades? Or will Shayna break Dakota all over again with her #TapNapOrSnap mentality? Introductions are made and the belt is raised, the bell rings and we begin. Fans are on Dakota’s side as she stares down with Shayna. But Shayna is still in Dakota’s head, as she easily corners her, then kicks out a leg. Dakota springs up and scrambles away, and the two circle. Shayna backs Dakota down again, and gives her mocking knuckles to the face. Shayna sweeps the leg again, and then grins as she backs off. Dakota stands up but Shayna is all over her again. The ref counts, and Shayna lets up at 4. Shayna argues with the ref, and Dakota turns her around, but Dakota isn’t fast enough to strike before Shayna gives her a body shot. Shayna grabs the leg, and folds it to stomp away on it! Dakota clutches the ankle, deja vu to the arm-stomp months ago. Dakota rolls to a corner but Shayna doesn’t let up. Shayna dares Dakota to kick her with that leg, then puts it in the ropes to wrench it. Dakota hobbles to a corner, but Shayna won’t let up. Shayna kicks and kicks, then drags Dakota out to wrench the bad leg from ankle to knee. Shayna twists the foot all around, but Dakota doesn’t give up. Dakota kicks with the free leg, but Shayna just sets the foot up, to STOMP it! Another flashback to the incident with the arm. Dakota clutches the foot, but she isn’t stopping the match. Shayna toys with Dakota more, wanting the team captain to do something. Dakota fires up and SLAPS Shayna! Shayna just gets mad and kicks Dakota down. Shayna then grounds and pounds, before putting on an ankle lock! She wrenches and twists Dakota’s food while daring Dakota to kick her. 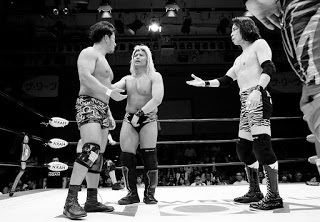 Dakota endures, reaching for the ropes. Shayan drags her away, to sit down with the lock! Dakota crawls again, and gets the ropebreak. But Shayna just drags her off the ropes, to go back to the lock. Dakota screams in pain but refuses to quit. Fans rally for Dakota, and she feeds off the energy to enziguri Shayna! Shayna staggers, and Dakota fires off haymakers and forearms! Dakota scorpion kicks then boots Shayna down! Shayna goes down but Dakota can’t cover from the pain. They both stand, and somehow Dakota manages to run Around the World! Then she runs again for the boot wash! Shayna is down but Dakota still can’t cover yet. Dakota runs, but Shayna tosses her off the sunset flip backstabber, into the Kirafuda!! Dakota is trapped, taps, Shayna wins! Bully Baszler wins out, still too much of a fighter for Dakota. But winning isn’t enough, as she puts Dakota BACK into the Kirafuda. Shayna chokes Dakota out, but out comes Nikki Cross for the rescue! Nikki drags Shayna off Dakota, then dares Shayna to fight her now! 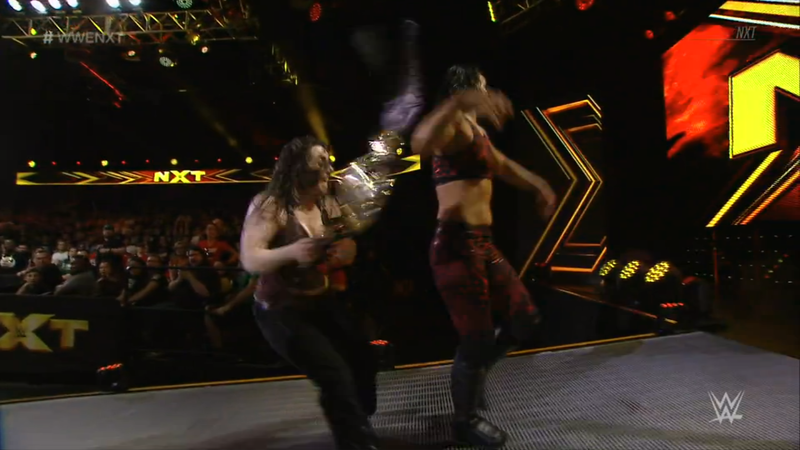 Shayna has no words for Crazy Cross, so she just takes her title and leaves. The second Shayna turns her back on Nikki, Nikki swipes the belt! Crazy Cross pisses the Queen of Spades off, but then dares her to come take it back. 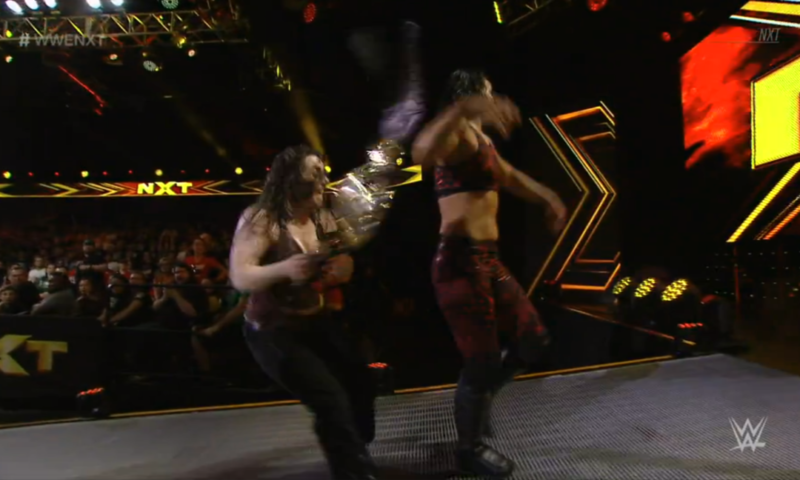 Shayna approaches the ring, and Nikki stays back. Shayna slowly enters, but the looney lass rushes over and snatches up the belt before Shayna can. Nikki tells Shayna, “You! Me! This! Today! !” In other words, Nikki wants her match. And she tells Dakota, “You’re the referee!” What? A match? Now? But fans say “YES! YES!” Dakota raises the belt, but Shayna goes to grab it back. Nikki grabs Shayna, and hits The Purge, the swinging fisherman! Nikki covers Dakota counts, Nikki wins? Dakota is as confused as anyone as she raises Nikki’s hand in victory. 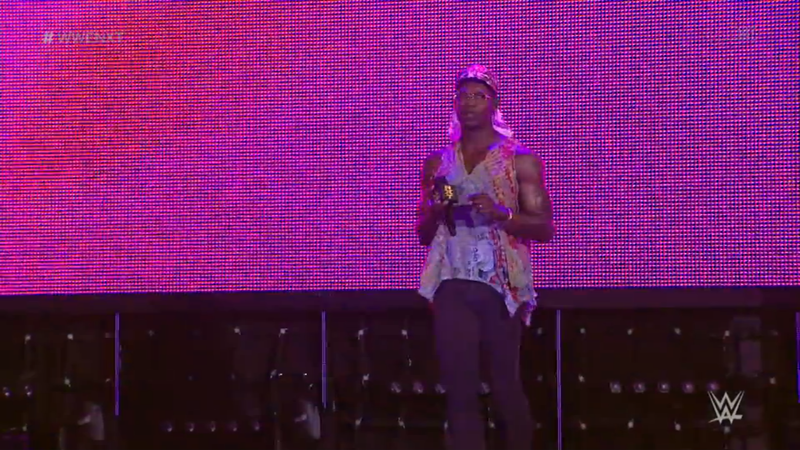 Though, there was no bell, so no, Nikki didn’t win. Nikki didn’t even have a match. But Nikki still runs around to celebrate “becoming” NXT Women’s Champion, even going into the stands to celebrate with fans. Will anyone tell her she’s wrong? 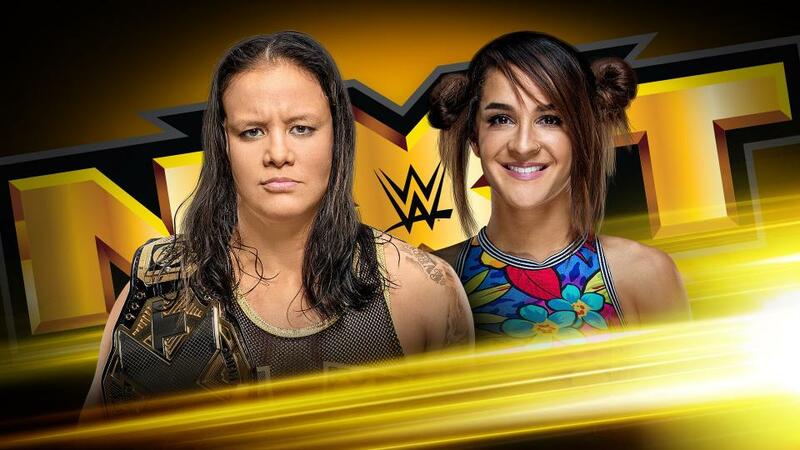 Will Shayna demand a “rematch” with Nikki at TakeOver: Chicago? 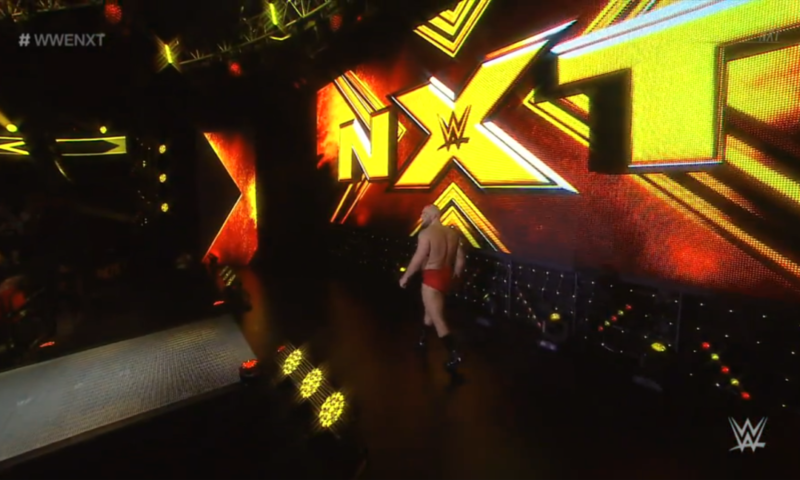 NXT continues to be on a roll with a great amount of story and action every week. 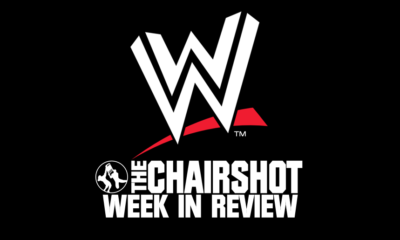 The recap for Gargano & Ciampa was concise, and helps explain Gargano’s random appearance later. It was creative for them to put it during EC3’s match, makes Gargano come off even more singularly focused on his grudge with Ciampa. EC3 still wins, but I wouldn’t be surprised if EC3 takes some offense and makes himself Gargano’s next rival, whether or not he wins or loses to Ciampa. 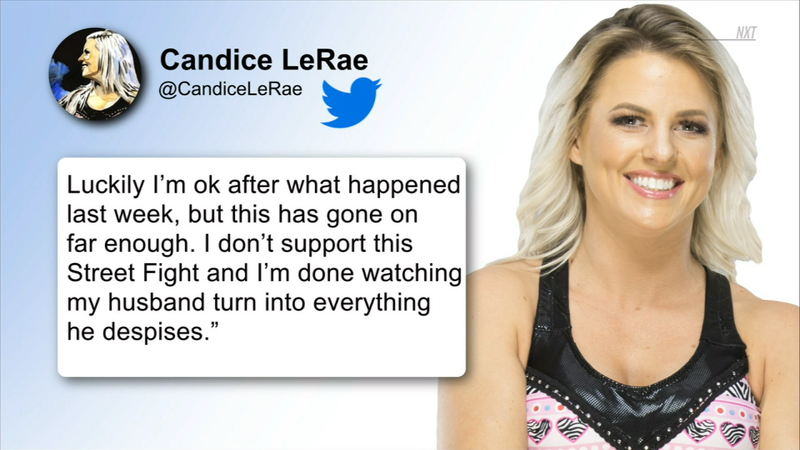 Another detail of note is that Candice wants no part of this grudge rematch, but I expect her to show up during the match when things start to “go too far” and she becomes the deciding factor. War Raiders win, no surprise there. With Lorcan & Burch challenging the Undisputed Era first, Rowe & Hanson will just have to wait until after Chicago for their turn. 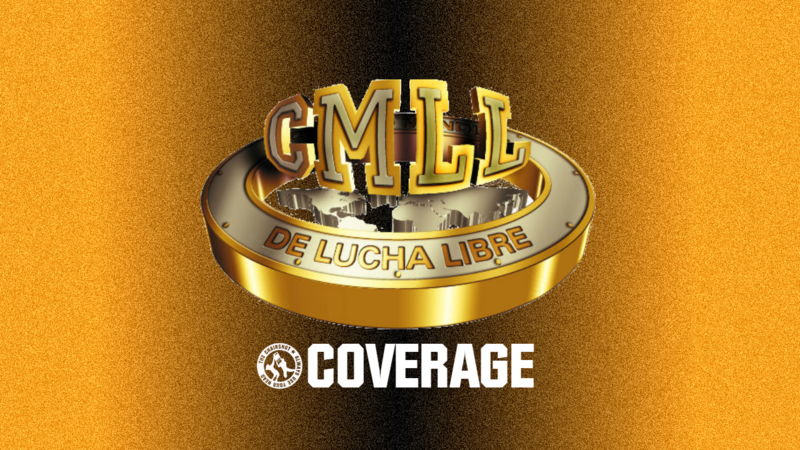 Maybe they can have a match with the Street Profits and/or TM61 in the meantime. I was surprised to see Ricochet having a match, and even more surprised that it was to give Donovan (now Chris) Dijak his debut. The match was good, and of course Ricochet wins, but it was all to officially establish Ricochet VS Dream at Chicago. 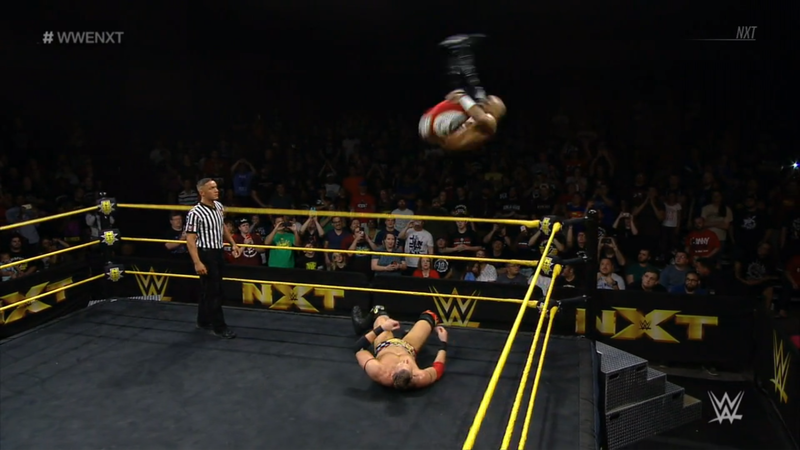 Ricochet’s amazing jump not only left Dream speechless, it left everyone speechless, that was legitimately amazing, as will their true 1v1 match. Great to hear Kairi VS Lacey 3 is happening next week, that’ll surely be the best of their matches, and could lead one of them being seen as the new #1 contender to the NXT Women’s Championship. Tonight’s championship match of Shayna VS Dakota was good, very strong in the story. It was given that Shayna would still win, Dakota hasn’t had enough exposure just yet to become champion. However, it was great for Nikki to come out and make the save. Nikki Cross is spectacular, and this mock championship match was a great moment in multiple ways. One, Nikki shows up Shayna in her own crazy way. Two, Nikki gets to celebrate like she’s won the title, because unfortunately, I don’t think she’ll get to be champion. The rest of SAnitY has already “moved” to SmackDown, and it’d be too much of a delay if she stayed to have a full reign. Shayna retains, and everyone moves on to something new.